Split the payment over 13 weekly payments of $93.77 Shipping & returns info Free shipping! 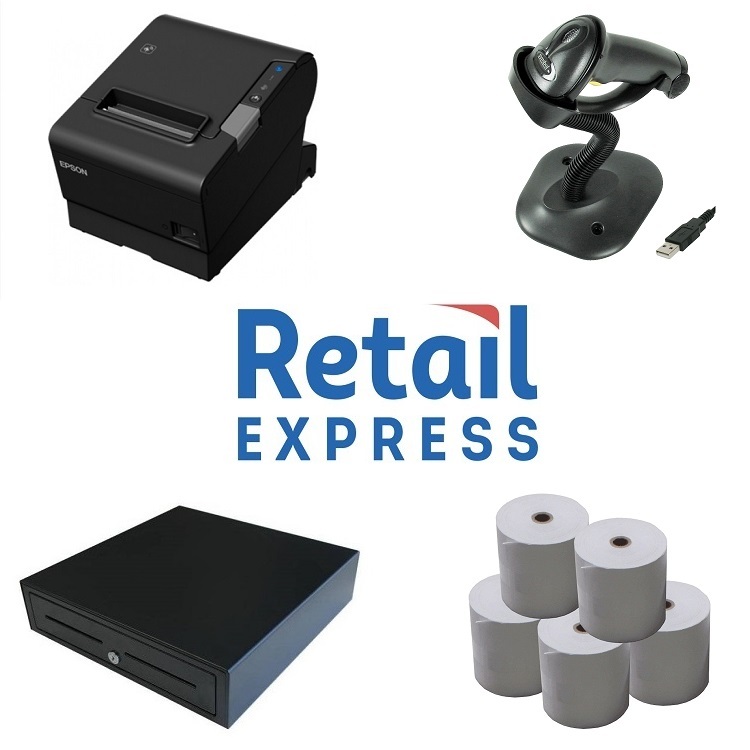 Retail Express POS Bundle comes with an Epson TM-T82II USB Receipt Printer, VPOS EC-410 Heavy Duty Cash Drawer, Datalogic QBT2131 Wireless (Bluetooth) Barcode Scanner, Zebra ZD-410 2" USB Label Printer, Paper Rolls & Labels. If you have your own PC but need to get a complete Point of Sale Hardware Bundle for Retail Express, this is a great package to purchase. It comes with everything you require to startup with Retail Express (except the PC). Zebra ZD410 Desktop Label Printer is a Direct Thermal printer. This is the standard model that prints at 203 dpi. Get fast, dependable printing in your most space constrained areas with the ultra-compact ZD410. Designed for the smallest of work spaces, this 2-inch direct thermal printer lets you print high-quality labels, receipts, tags and wristbands wherever you need them. Super-fast printing boosts worker productivity. The many connectivity options make deployment a breeze. And the ZD410 is easy to use, operate and troubleshoot, maximising printer up-time. The ZD410 - the little printer designed with big business functionality.